Bollinger used the London International Wine Fair yesterday to unveil a unique 75cl bottle that mimics the shape of a magnum. This change should mean that oxidation of the Champagne in the bottle will take place at a slightler slower rate, which, Jérôme believes, will be somewhere between the rate for a standard bottle and a magnum. Indeed, the new bottle’s appearance makes it look like a scaled down magnum, and Jérôme pointed out that the ratio of the new bottle’s diameter at the neck to the diameter at the base is closer to a magnum than it is to a standard bottle (see figures below). Nevertheless, despite the bottle’s slighly broader base, it still fits in the same gift carton and Bollinger promised it won’t effect merchandising. Seems that with 6 bar of CO2 pressure, it would be pretty hard for O2 to get into the bottle and oxidize sparkling wine? Unless the partial pressure laws come into effect, and O2 somehow moves through the cork into the wine against that kind of pressure gradient to reach equilibrium with atmospheric ratios? Anyone who knows the science of this want to chip in? It is exactly as NIC says, though counter-intuitive given the pressure under the cork. But all the champenois research shows there is a slow gas intake through the cork over time as well as a reduction in pressure ie gas exchange in both directions. The O2 involved is tiny but significant over time, though much less than the huge exposure to air later from disgorgement. Thumbs down! The new bottle looks very elegant, but it is functionally floored (Personal view of course). Like most Vino lovers, I like to display my wine/champagne in a traditional wine rack. 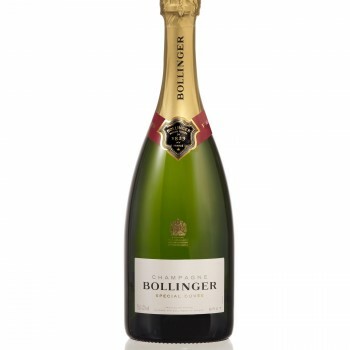 I currently have six bottles of original sized Bollinger, comfortably nestled in. However, this is no longer possible! The base diameter is 93 mm, thus does not fit! Lets hope the reduced rate of oxidation, is enough to surpress my mild outrage.